The Tree of Life design celebrates the theory of evolution and was created to give a voice to those who favor traditional biology and oppose the growing American support of various forms of creationism. The tree sprouts from the dot in the letter i, which represents the idea of a single common ancestor. 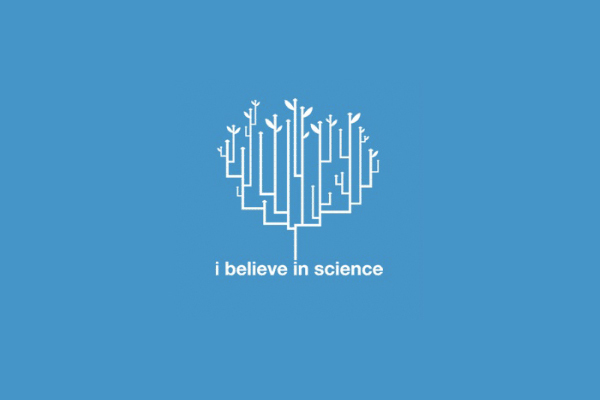 Arrows and leaves signify evolution and growth, and the statement “I believe in science” makes a firm declaration without openly bashing those with opposing viewpoints on the origins of life. My IBIS tees were featured in the New York Times Magazine in 2006.